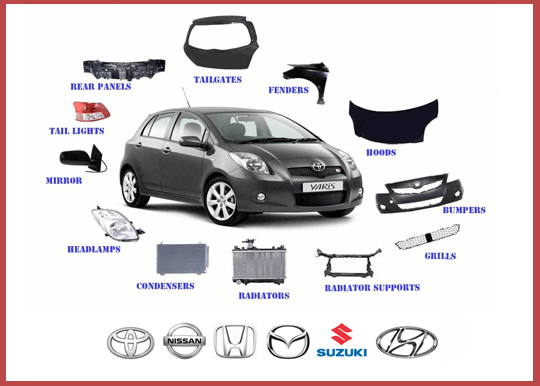 If you want to get the best price for your unwanted or broken Japanese car, you should come to us a Japanese Car Parts. Japanese car wreckers Manurewa is the leading wrecker in Auckland and pay up to $15,000 for Japanese branded scrap vehicles. We buy cars, vans, utes, 4×4’s and trucks. Plus we will collect your vehicle free of charge. Why not find out how much your car is worth by contacting us on 0800 572 392. You can also book in for a removal service or, if it’s easier, you can complete the contact form. If you would like additional information on our Japanese car wreckers Manurewa service, see below. Our team includes drivers in trucks who stay on the road all day, every day throughout Auckland, including Manurewa. As a result, we can often collect your car and pay you on the same day you call us. Plus, we’ll arrange a time that suits you for the collection and we are never late. In fact, we do everything we can to make the process as easy as possible. That’s why they call us the best Japanese car wreckers in Manakau. Whatever the conditions of your car, we’ll buy it. It doesn’t even matter what condition it is in, as we take just about everything. This includes vehicles that don’t run or turn on, rusted cars, and vehicles with bits missing. In order to get the quote from car wreckers Manurewa, complete the form now and submit it. Is it also easy to get rid of your unwanted or scrap van, light vehicle, or truck when you call us at car wreckers Manurewa. We pay top prices for these vehicles too. So, not only are we the best Japanese car wreckers in Manurewa, we are the best van and commercial vehicle wreckers too. We can also collect your vehicle anywhere on the North Island, including Manurewa. The way cars are scrapped can have a significant impact on the environment. We Car Wreckers Manurewa understand this, and therefore, we take our responsibilities seriously. Therefore wreckers Manurewa will scrap your car in an environmentally friendly way, recycling as much of the vehicle as possible and carefully disposing of the rest.